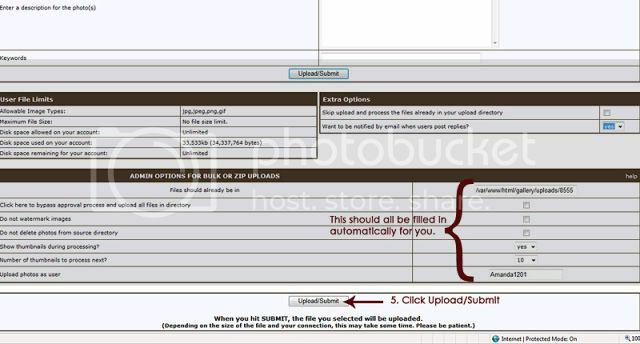 Before you begin your uploading process, you want to make sure that your layout is sized properly. You want it to be 72dpi and dimensions should be 600x600. (If you scrap using a size of 11x8.5, just make your width 600 and it should proportionately change your height appropriately.) Also... be sure to check that your layout is 250k or lower in size. 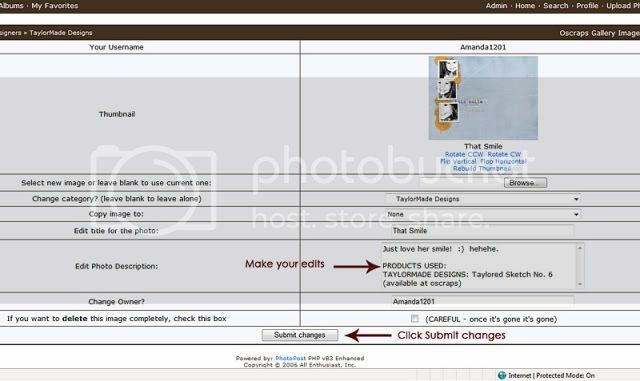 If your layout is any larger than the sizes mentioned above, once you click "Process", it will appear as if it is uploading, but once it finishes your layout will seem to disapper and you will not see it in the gallery. This simply means that your layout was too large and you should resize before attempting to upload again. YAAAAAAY!!!!......... 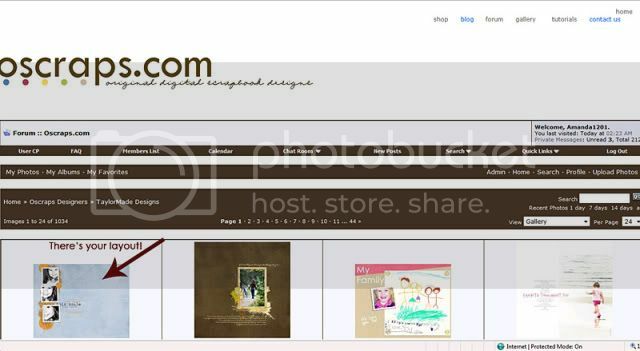 you have just posted your layout and it should now appear in the gallery! When choosing a specific designer's gallery to post to, only choose one. There is a 5-layout limit per 24 hours, and if you post one layout to 3 different designer's galleries, that will count as 3 layouts. 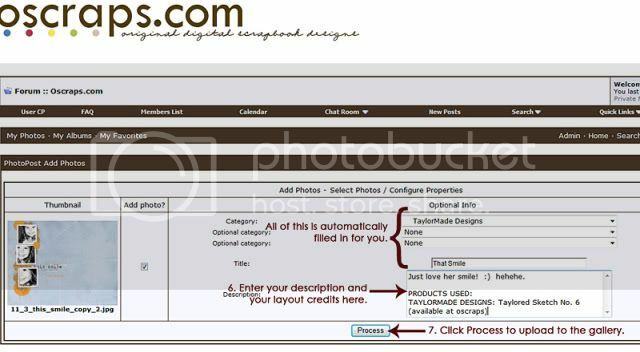 An alternative would be to post it to the designer's gallery whose products are featured most on your layout. Then, under "keywords" you can type in the other designer's names. -make sure the actual size of your file is 200kb or lower. 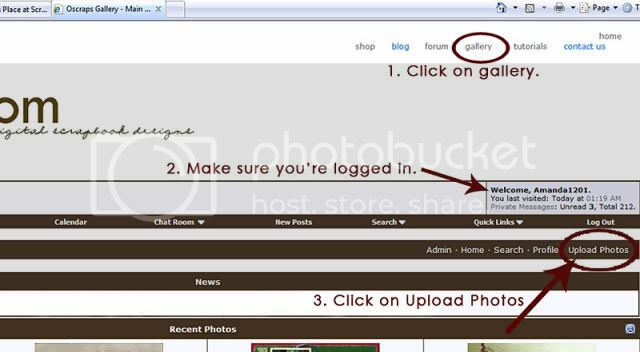 For more specific instructions on resizing your layouts in Photoshop, you can see #6 in the following tutorial on my blog that includes screenshots for you. If you are still unable to get your layout posted after sizing it properly, feel free to CONTACT US with questions! We are so excited that you have chosen Oscraps for your digital layouts! We can't WAIT to see your creations! Always let us know if you have any questions!!! 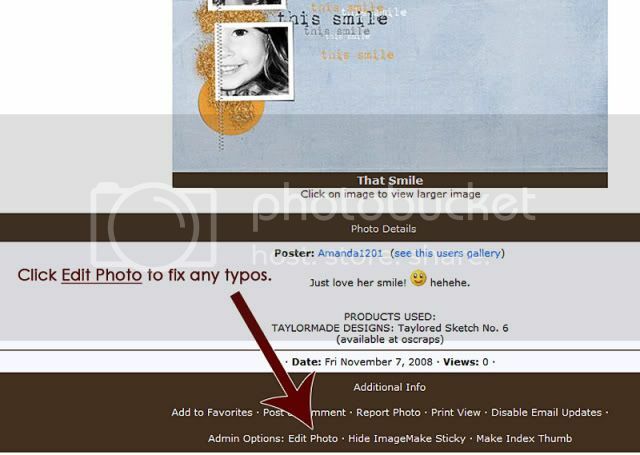 Last edited by Amanda1201; 12-07-2008 at 06:59 PM. This tutorial was sooo helpful!! Thank you!! I seem to have hit a roadblock. I'm in Mac PSE9 and normally use Christy Vanderwall's free action File Save 1 that takes your psd, and makes a 300 dpi 3600x3600 jpeg for printing and then 72dpi jpegs for gallery. I was used to making the default 600x600 a bit larger for another gallery but in trying to make it smaller, I can't seem to get a balance with the pixel size, the <250k overall size and then still keeping the 12x12" size. I obviously managed the other days I uploaded but really can't get it all together tonight. I'm starting with a 195+MB psd, then my 300dpi print jpeg is 11.9MB. Sadly, since I've had so much ease with the action, I can't recall how to do this manually very well. So where do I go with that 11.9MB jpeg to get to meet Oscraps upload parameters? tia! Edited to add: I finally got the steps but geeze, I'm going to email Christy and see if she can help me tweak her action. Does anyone here use it? What do we live for if not to make life a little easier for someone? Last edited by CookingMyLife; 09-11-2011 at 04:15 PM. Last edited by suezeeq12; 09-12-2011 at 12:03 AM. 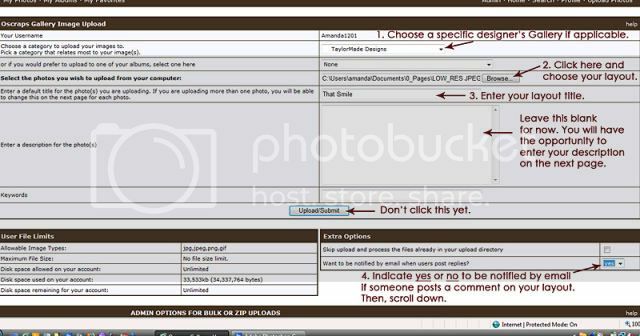 Does anyone know if that PaisleePress action works in PSE9? I'm going to try that first, and then maybe go through Suzi's process. eta: the method for PSE9 on a Mac are so much different than the PP instructions for PSE3 on a PC that I'm not going to try and tweak that action. Especially since I don't know how. Last edited by CookingMyLife; 09-20-2011 at 01:01 PM. I cheat and use "Light Image Resizer" you can download the trial and continue to use it indefinitely - I don't know if it works with a Mac tho.